Today in every recruitment test there is General Awareness section.This section contains questions on G.K.(General Knowledge) and Current Affairs.This section plays an important role in scoring. 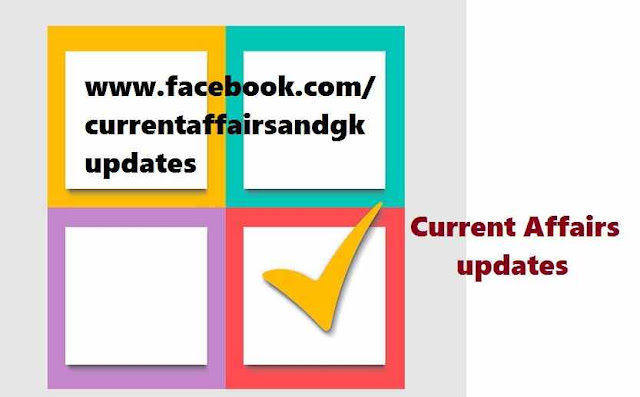 Current Affairs updates till 20 July 2015 are given.Updates on 18th July,19th July and 20th July are covered. These updates are very useful for upcoming Recruitment tests like SSC(Staff Selection Commission) recruitment test,RRB (Railway Recruitment Test),IBPS Tests,RBI Recruitment test,Postal and other state level Recruitment tests. 1.Indian Army's new Mountain strike corps will be equipped with a regiment of the BrahMos Cruise Missile which can destroy Targets hidden behind mountains. This missile is networked with Sensors. 2.China has begun building the World's largest Sea Plane (amphibious aircraft).It is named as AG-600 .AG-600 can carry 50 people during a maritime search and rescue mission. 3.Shubham Jaglan,a 10 year old son of a milkman from rural Haryana won Junior World Golf Championship at Welk Resort Fountain Course. 4.French Formula-1 driver Jules Bianchi(25) has died nine months after suffering severe head injuries in a crash at the Japanese Grand Prix 2014. 5.The U.S. has won the International Math Olympiad for First time in 21 years.Two Indian-Origin students helped the US to win this prestigious Olympiad. 6.Nekurthi Sikki Reddy (Hyderabad)-Pradnya Gadre (Hyderabad) won women's double title in the Lagos International Challenge Badminton Championship (Nigeria). 8.First time after 54 years ,the Cuban flag was raised over Havana's embassy in Washington as the United states and Cuba formally restored relations. 9.Valencia,a Spanish town has introduced a law to allow it's residents to take a three hours nap (a short sleep) every afternoon between 2PM and 5PM. 10.A non-profit initiative -"Break through Listen" was announced by Russian tech Billionaire Yuri Milner with Cosmologist, Stephen Hawking in London.Break through Listen-Science project works on intelligent alien life.Milner invested $100m in this project. He also invested in Facebook,Twitter, Ola etc previously.